This is our second stay at Prater Zentral Wien. And we are really delighted about everything here for family travelling with small kid. The apartment is safe for little discoverer :) Cosy and well equipped. Very attentive and friendly owners. Everything was great. Very nice and clean apartment. Great location, attractive room, comfortable and spacious bedroom and bathroom, and probably the most comfortable bed I have ever slept in. Well done to all concerned! I had the opportunity to adjust the temperature that I want to be in my room- it's one of the best things !! Very clean, very comfortable and the owner was very hospitable!! The best host we ever had in our lives. We arrived at a very late time as we had courses/work to finish in Hungary prior on Friday. They were there on time only asked us to contact them prior 25 minutes. Even saved a parking spot for us as they knew we will arrive by car and helped to find a restaurant in the night by taking us into a frequent and good location with their own car. Magnificent people and one of the best accomodation in Wien so far. 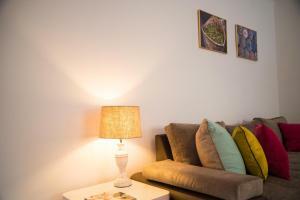 Location close to U Bahn stations. Very clean and comfortable. Felt very safe. New appartment, friendly hosts. I would higli recomend it to others. Lock in a great price for Prater Zentral Wien - rated 9.6 by recent guests. 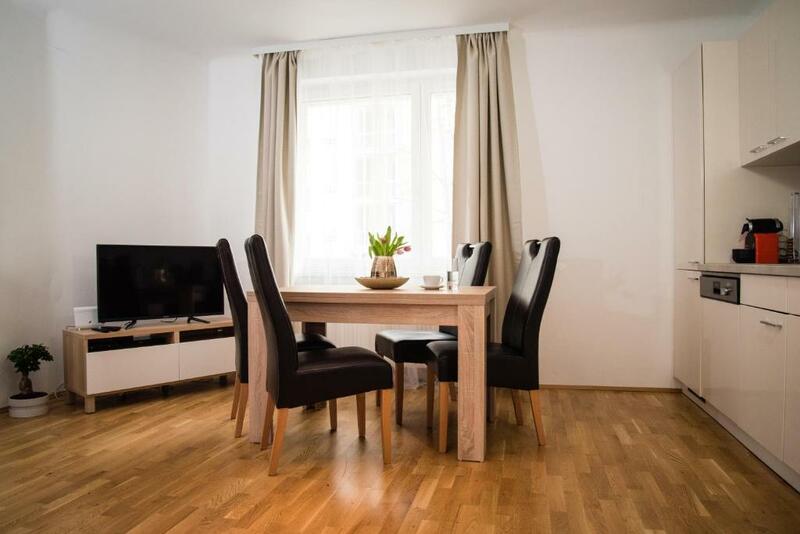 Set 550 yards from Messe Wien and 0.7 miles from Danube Island, Prater Zentral Wien provides accommodation located in Vienna. The property is an 8-minute walk from Vienna Prater. Free WiFi is available. 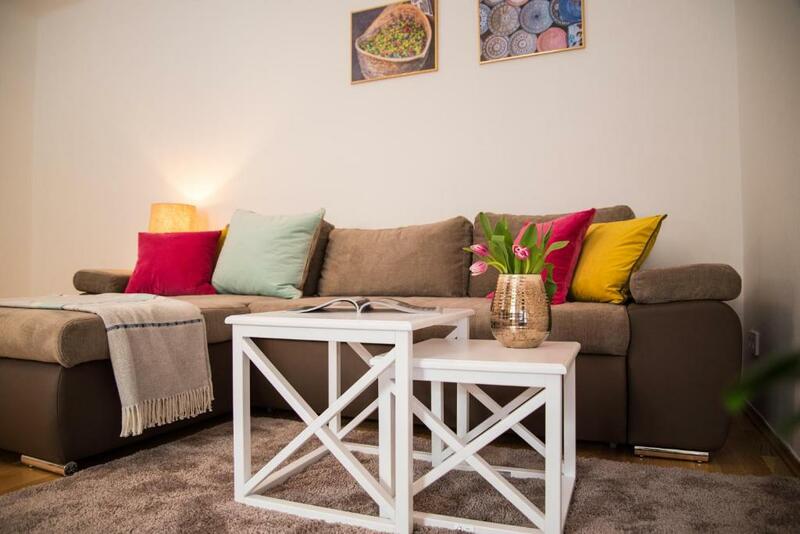 The apartment includes a fully equipped kitchen with a dishwasher and a Nespresso coffee machine. A flat-screen TV with over 150 channels and a DVD player are featured. A bathroom with free toiletries, a hairdryer and a washing machine is at guests' disposal. Popular points of interest near the apartment include Ernst Happel Stadium (0.7 miles away), Giant Ferris Wheel and Austria Center Vienna. The Danube is a 3-minute walk away and the University of Economics and Business is a 7-minute walk away. The Messe Prater Metro Stop (line U2) is 800 yards away, offering direct connection to the city centre (3 stops). The nearest airport is Vienna International Airport, 9.3 miles from Prater Zentral Wien. 02. Leopoldstadt is a great choice for travellers interested in convenient public transport, Old Town exploring and monuments. Prater Zentral Wien has been welcoming Booking.com guests since 26 Mar 2018. 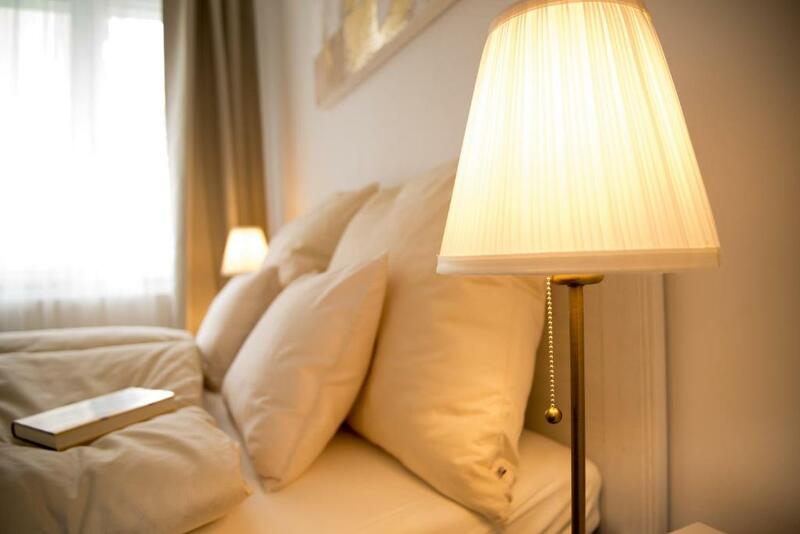 When would you like to stay at Prater Zentral Wien? 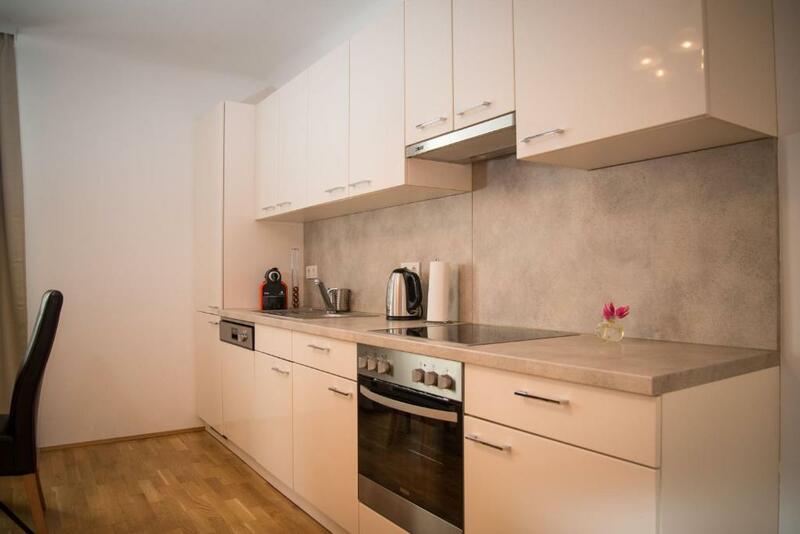 This apartment has a flat-screen TV, kitchen and kitchenware. Public parking is possible at a location nearby (reservation is not needed) and costs EUR 3.40 per day. 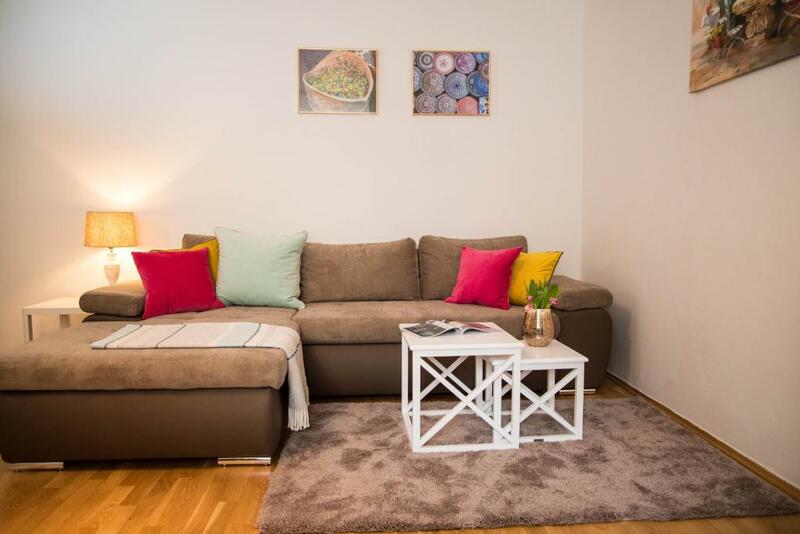 Property surroundings – This neighbourhood is a great choice for travellers interested in convenient public transport, Old Town exploring and monuments – Check location Excellent location - show map Guests loved walking around the neighbourhood! House rules Prater Zentral Wien takes special requests - add in the next step! There was absolutely nothing that we could complain. Strange work of heating system - it's too hot or getting just cold after trying to adjust. It was August and the apartment was very warm and there is no air conditioning. No air conditioning in the summer - really strange for us from the USA. Ground floor - not a big issue, but one can hear people talking on the street as if they were in the apt. But small street, and safe, so not a big issue. excellent location! 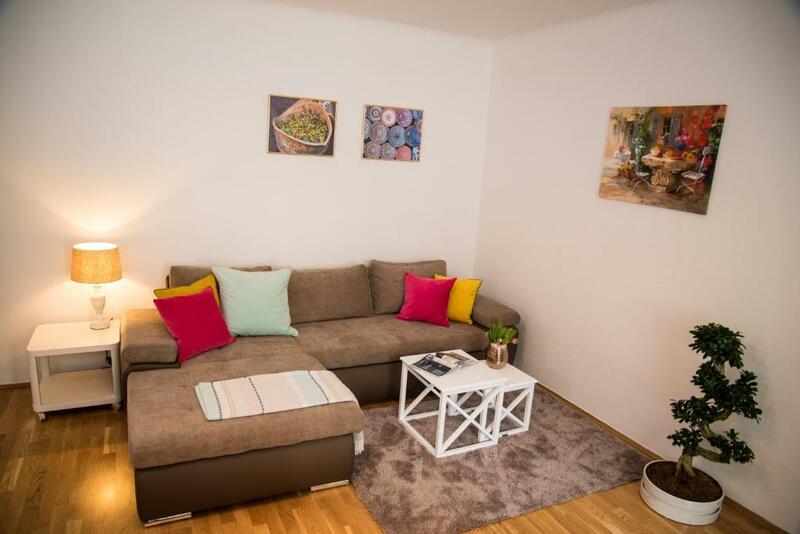 very close to Donau river (with some restaurants, bars, and great for jogging) very clean. nicely appointed. good coffee and tea ;-) well equipped kitchen. close to U-Bahn (U2) - 6min, and there is a bus nearby - 2min.